If you crack a tooth or bite your tongue or lip, rinse your mouth with warm water and apply a cold compress to reduce swelling. For toothaches or objects stuck in your mouth, gently use floss to clean the area and remove any debris. Do not put aspirin on your teeth or gums and never use a sharp object on your teeth. Wearing a mouthguard during physical activity will help protect your teeth. Avoid chewing foods like ice, popcorn kernels, or hard candy to reduce the chances of cracking a tooth. Refrain from cutting or tearing objects with your teeth. 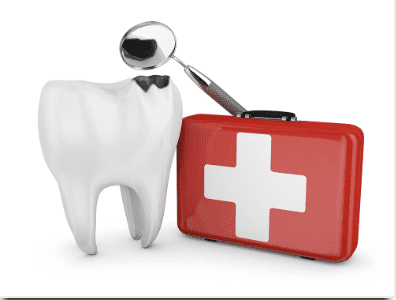 If you have a dental emergency, contact us immediately at 703-620-4050.